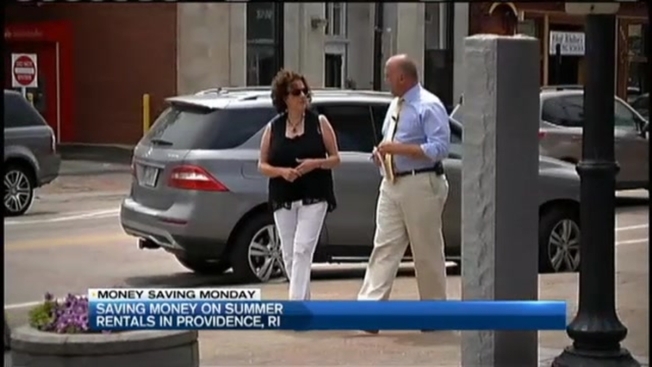 In honor of necn's New England Vacation Week, this Money Saving Mondays focuses on fun, affordable ways to tour and experience the glorious capital of Rhode Island, Providence. Two we feature in tonight’s piece: the Providence River Boat Co., which offers spectacular 50-minute tours of the city for $20 ($15 for kids) as seen from the river that flows through the city, and food maven Cindy Salvato’s Savoring Rhode Island tour of Federal Hill, the epicenter of Providence’s legendary food scene. Thirty years ago, these rivers were covered over by roads and railyards before being returned to daylight, lined by walkable plazas, and opened up with the relocation of Interstate 195. “It’s been a complete and total renaissance for downtown. The waterfront is now completely accessible,’’ McGinn said. At one spot you can see marks showing how high floodwaters reached during the deadly hurricances of 1938 and 1954. His boats tours head out from a dock at 575 South Water Street, next to The Hot Club restaurant, and he asks passengers to make reservations ahead of time, but will accommodate walk-up passengers when he can. Tours operate seven days a week during the summer, including during Providence’s legendary Waterfire events. And if you call ahead of time, he’s happy to let you bring on board a cooler of wine or beer and food to make it a moveable feast on the water. Providence is also a legendary food city, and a fun way to experience the Federal Hill food scene that can be more affordable than a whole restaurant tab: Food expert Cindy Salvato’s Savoring Rhode Island tour of the neighborhood. It’s a three-hour, $50 meander through three busy blocks. “We’re eating the whole way. We're getting behind-the-scenes tours,’’ Salvato said. The tour’s likely to include a look at the 100-year-old ovens at Carol Scialo’s Scialo Brothers bakery where they make bread, cupcakes, and other cakes, a taste of “certified Neapolitan” pizza made in a wood-fired oven at Constantino’s Venda Bar & Ristorante, and a trip to Roma for a taste of prosciutto made from Rhode Island farm hogs and a fresh-filled cannoli. Salvato hopes for visitors to learn many fine points about choosing ingredients for and preparing Italian dishes and appreciating Italian wines and baked goods.